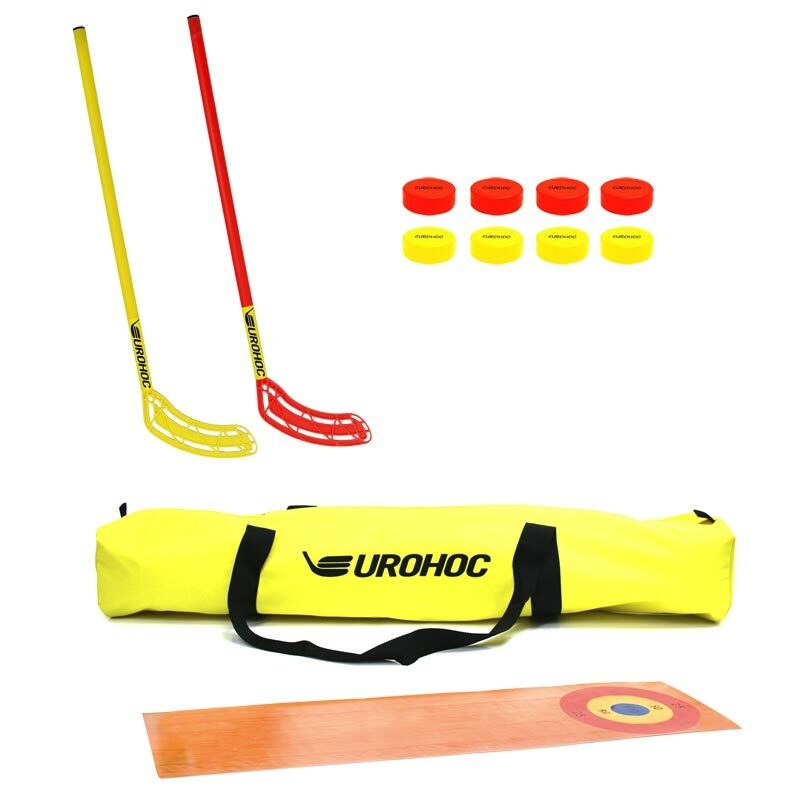 The Eurohoc Floorball Shuffle Set s a mini floorball set with target fun activity game for children which combines games like Curling, Bowling and of course Floorball. This is a great way to introduce kids to the game of Eurohoc. 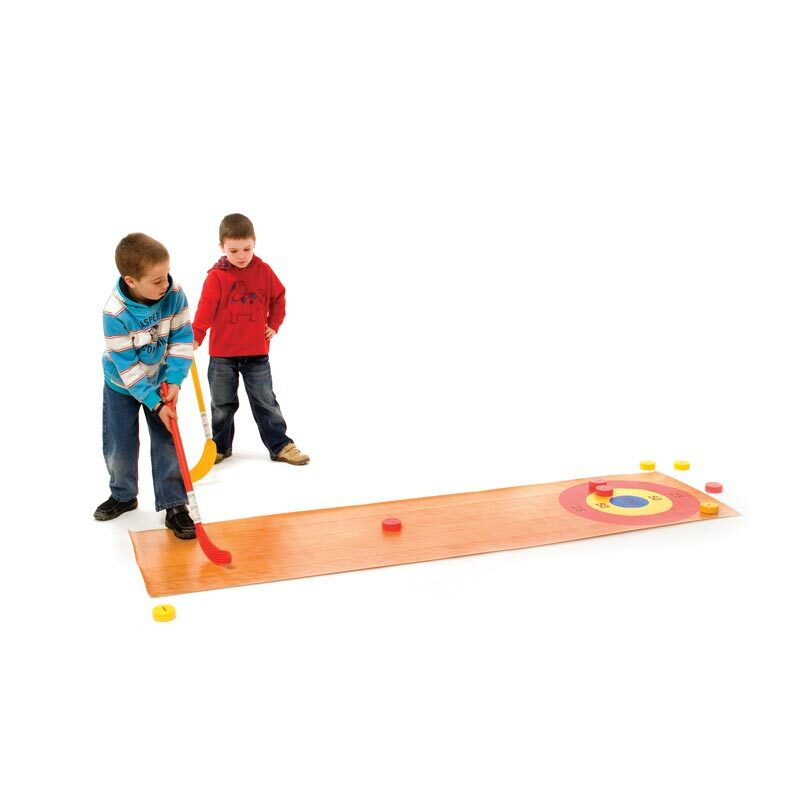 Using your Junior sticks the objective is to slide your pucks along the mat and hit the target to score points. Players take turns in making their shot. Safe, easy to learn and emphasises movement and alertness, rather than strength or height. Sticks crafted from lightweight, high tensile plastic. Stick - shaft diameter 25mm, shaft length 75cm, total length of the stick is 92cm.